Portraits Session with Bollywood Diva Sherlyn Chopra! Abu Dhabi Photographers initiative is to help improve your photography skills.. it doesn’t matter if you are a beginner, amateur or professional photo passionate. ADP supports its members by organizing training meetup’s based on photography, organizing photography exhibitions and photography field trips. Abu Dhabi Photographers also hosts several photography competitions with honoring and rewarding the competitors and exhibiting the winning photos. Free entry to regular group meetup’s. Free entry into 3 themed photography Competitions, run throughout the year, where winner’s will have their winning images printed & displayed at a photography exhibition hosted by ADP. Entitlement to enter ADP’s ‘Amateur Photographer of the Year’ Competition (small fee applies), giving you a chance to win some great prizes. Photography Group Only Events: some are free; some may incur a small fee. You are over the age of 14 years old. You abide by the rules at every group meetup. While taking photos at group meetup, consideration to the other members of the group is more important than your photography. All members just have as much right to be there as you do. Being polite and courteous can go a long way. During our regular meetup’s you must be aware of UAE Law for photographing people, buildings & places. 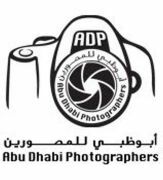 Abu Dhabi Photographers will not be responsible for any causes & damages. Abu Dhabi Photographers membership card is limited within group activities and it does not take accreditation of press value. If you enter any photography competition organized by Abu Dhabi Photographers, rules of the competition must be strictly adhered to. Any breach of these terms and conditions may result in the termination of your membership and associated benefits. If this action is deemed appropriate, no refunds will be given.